Add cream and beat well with a wire whisk. Melt butter in a small skillet; add egg mixture and season with salt and pepper. 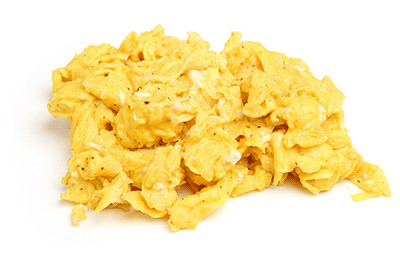 Scramble with a fork until eggs are completely set.